Formulated to brighten your overall health, these products clear away lifeless debris and supplement every cell with oxygen to turn up the body's natural energy. 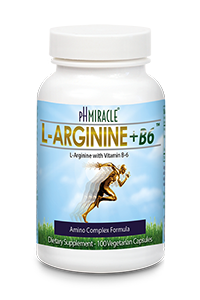 By specifically alkalizing, cleansing, controlling, and constructing cells within the body, the Illuminate group of supplements ignites a steady, internal light of health within. Too much acid in the body robs the blood of oxygen—and without it, your metabolism (the ability to burn food) slows. Not only does food digest more slowly causing weight gain and sluggishness, but fermentation also occurs, creating yeasts and fungi. The wastes of these organisms are called mycotoxins, and they can be very damaging to your cells.Within the InnerLight Illuminate group of products, the Alkalizers help neutralize acid in the blood overall. But we add to the effectiveness of this process with three additional types of products. 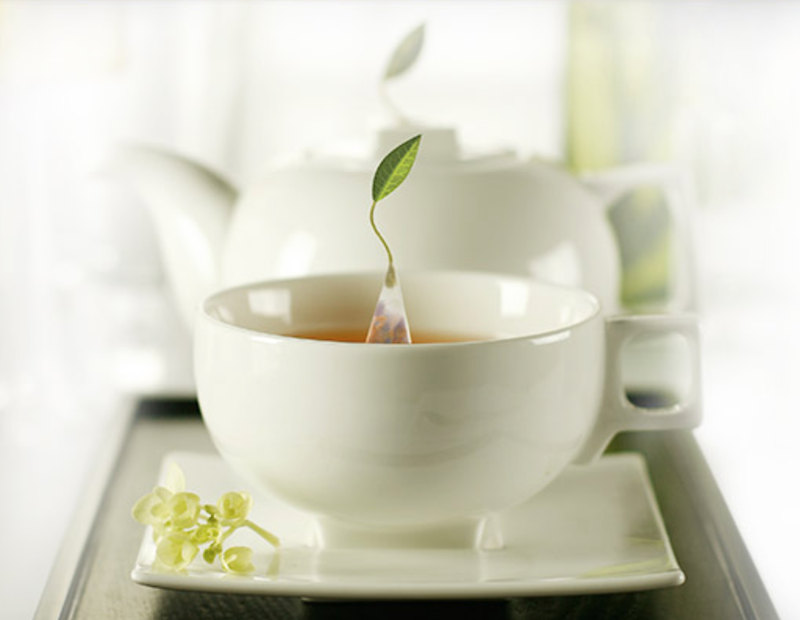 Our Cleanse formulations help the body rid itself of the excess acid and wastes. Control products help neutralize any existing mycotoxin-producing organisms, and the Construct supplements nourish cells and help repair any damage that may have been done. InnerLight #148754 / Shop for products here. The obvious clue is right there in the top three killers (cancer, heart disease, and diabetes). All are directly linked to diet. In fact, eight of the top ten causes of death in America today are (not to mention that diet is obviously the cause of the obesity of 60 percent of Americans). Eating the proper foods and getting the best nutrients, in balance, will help you avoid all that—along with the misery and poor quality of life that so often precede death, sometimes by decades. 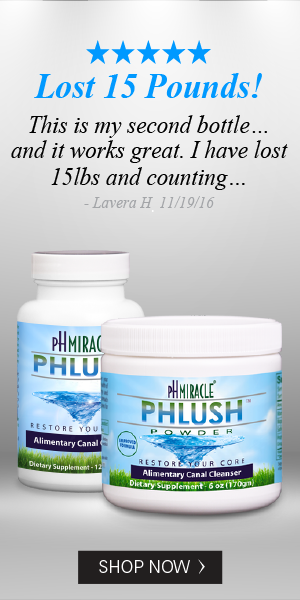 The simple secrets to finding the right combinations are what The pH Miracle is all about. Even mainstream medicine agrees: "Foods contain nutrients essential for normal metabolic function, and when problems arise, they result from imbalances in nutrient intake and from harmful interaction with other factors. For...adult Americans who do not smoke and do not drink excessively, one personal choice seems to influence long-term health prospects more than any other—What We Eat" (from the 1988 "Surgeon General's Report on Health and Nutrition": Emphasis added). The problem is that while diet is the key not only to slimness but also to overall health and well-being, it has to be a diet that properly balances our body chemistry. But each and every one of the diets Americans have tried—including not just the "average American diet" but also such supposedly healthful regimens as low-fat diets, the food pyramid, and vegetarianism—create wildly imbalanced body chemistry. Even if one way of eating does get rid of extra pounds (usually temporarily) or lower cholesterol levels or lessen digestive trouble for some people, it does not fulfill the promise of simple good health. We're so used to our modern medical machinery, in fact, that good health seems anything but simple. I'm here to tell you: It is simple. Forget cholesterol counts. Forget calories and fat grams. Forget blood pressure, blood sugar, hormone levels, or any of the other markers of health you're used to at the doctor's office. It turns out that the single measurement most important to your health is the pH of your blood and tissues—how acidic or alkaline it is. Different areas of the body have different ideal pH levels, but blood pH is the most telling of all. 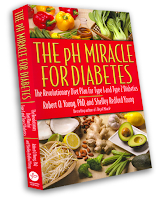 Just as your body temperature is rigidly regulated, the blood must be kept in a very narrow pH range—mildly basic or alkaline. The body will go to great lengths to preserve that, including wreaking havoc on other tissues or systems. 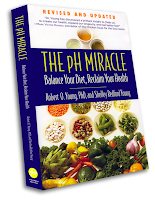 The pH level of our internal fluids affects every cell in our bodies. 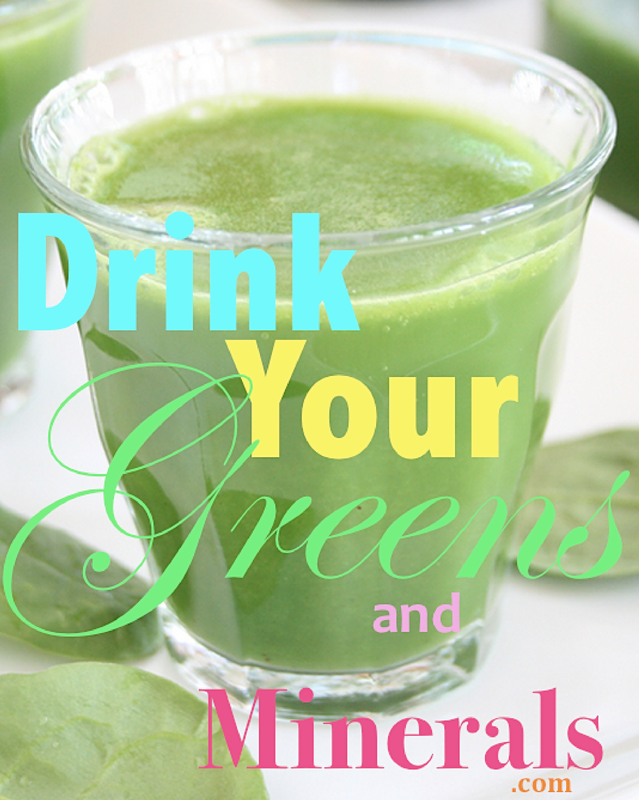 The entire metabolic process depends on an alkaline environment. Chronic overacidity corrodes body tissue, and if left unchecked will interrupt all cellular activities and functions, from the beating of your heart to the neural firing of your brain. In other words, overacidity interferes with life itself. It is (as we'll see in more detail in the next chapter) at the root of all sickness and disease. This facinating book is on sale at pH Miracle. 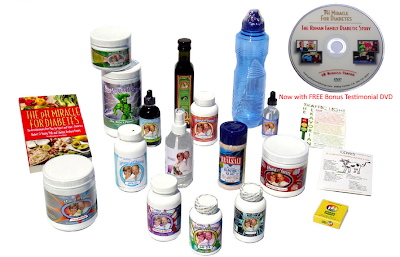 For our products click here.